Jemez Springs is an easy and beautiful drive an hour north of Albuquerque. Jemez Springs is the closest hot springs location to the metro area than any other New Mexico town or city. The Jemez Mountain Trail Scenic Byway – one of only eight scenic byways in New Mexico – leads visitors along a historic and stunning road to Jemez Springs along Highway 4. 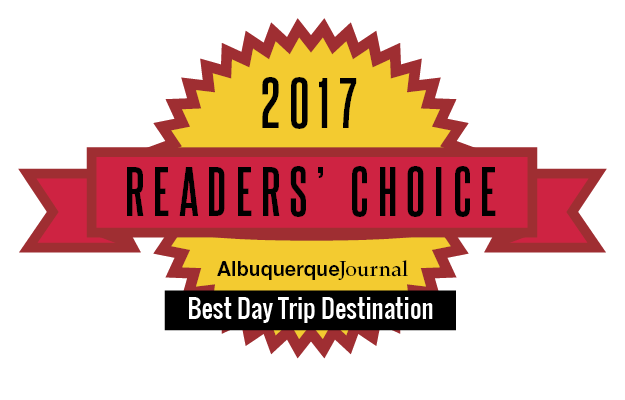 Along this route, which begins at Coronado Monument, several geographical and cultural wonders can be explored including Jemez Historic Site, Fenton Lake, Valles Caldera National Preserve and Bandelier National Monument, among others. 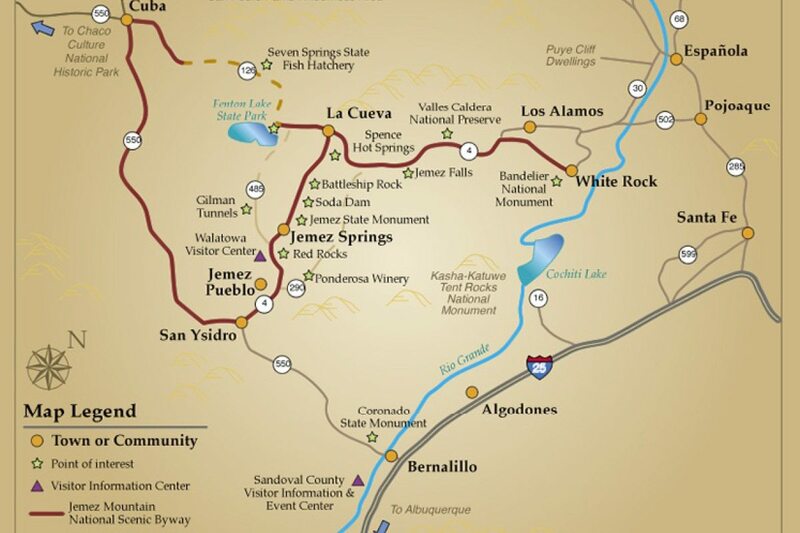 Jemez Springs is accessible within a day from most major regional cities. Just 18 miles north of Jemez Springs is the idyllic Fenton Lake State Park. Visitors can pack a picnic lunch, fish, hike, boat and canoe on the lake which is yet another asset to the Jemez Springs area.